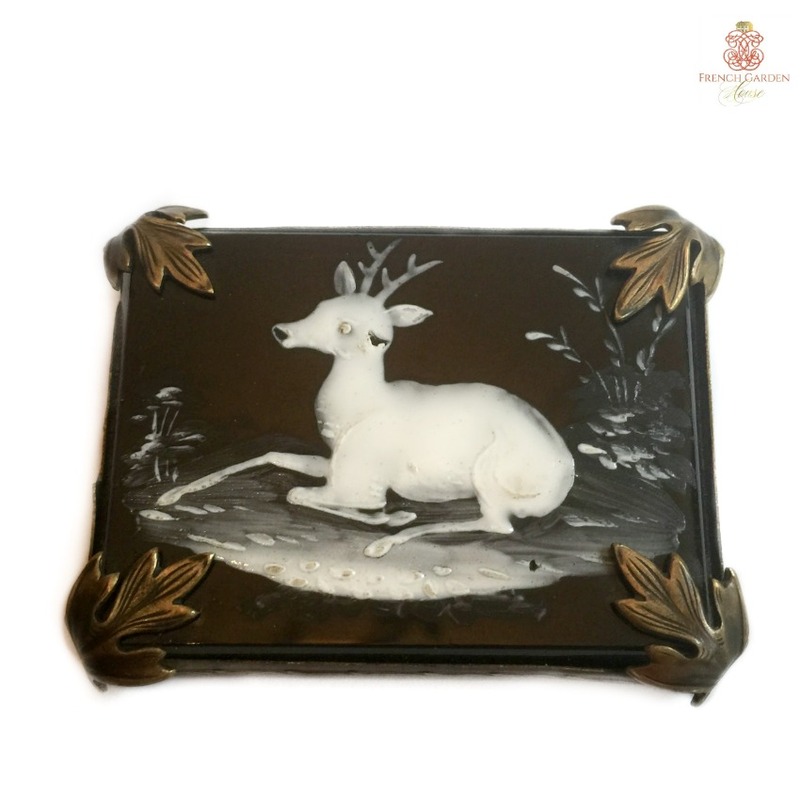 Antique Hand Painted Enamel Deer Jet Black Onyx Glass Mourning Remembrance Brooch or pin is beautifully painted. 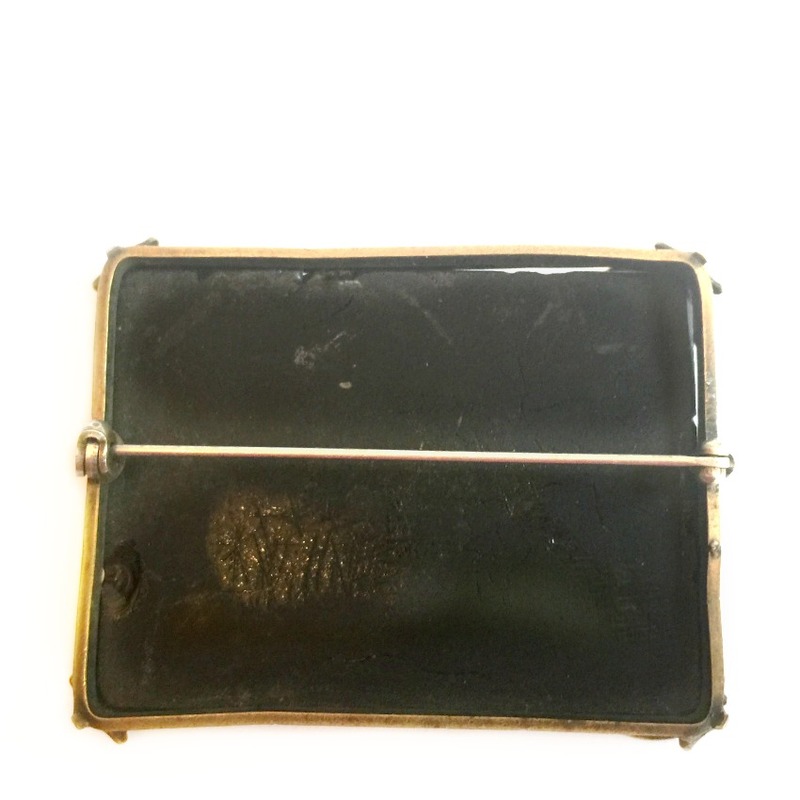 Pins like this were worn in memory of a loved one that had passed on to heaven, on a neckline, or a scarf or lace shawl. 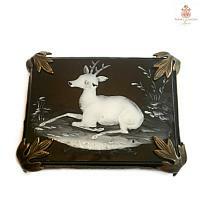 The glass fits well in the metal frame, the deer is very sweet and painted with white enamel. There is a tiny bit of enamel off the one ear, not sure if it's a chip or meant to give depth to the design. 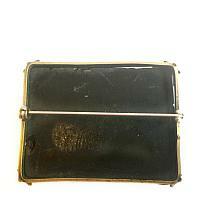 This is a beautiful brooch for your collection, I'm not sure if the safety latch was added later. Due to the large size, this was most likely meant to be worn to gather a long lace jabot type collar over a dress. Measures 2-1/4" x 1-3/4" x 1/4".